Mangrove rehabilitation. 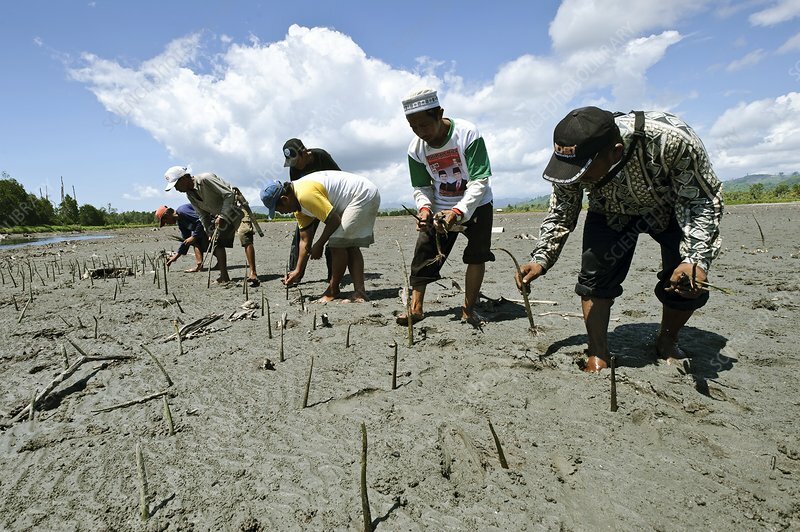 Members of the Nature Awareness Group planting young mangrove (Rhizophora sp.) plants to re-populate a mangrove swamp that was cleared to make way for a tambak. Tambaks are ponds in which fish and shrimp are raised. Photographed in Sausu Peore, Central Sulawesi, Sulawesi, Indonesia. Model release not available. Property release not available.